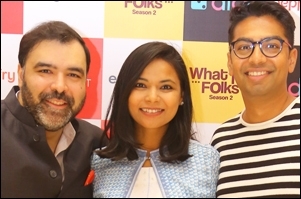 Founders of the digital content house Anirudh Pandita, Aditi Shrivastava and Ashwin Suresh share their journey so far. Brought up in Bahrain, engineers from top universities in the US ended up opening a digital content company in India. If that's not unusual enough, they named themselves "Pocket Aces", a Poker term for a great starting hand that's potentially hard to beat. 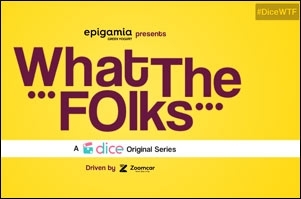 The founders of the parent company of YouTube channels - Dice Media (1.7 million subscribers), Filter Copy (4.3 million subscribers) and Gobble (101k subscribers), Anirudh Pandita, Aditi Shrivastava and Ashwin Suresh spoke about their 'startup journey' at vdonxt asia 2019, held last month in Mumbai. The session was moderated by Anirban Roy Choudhury, special correspondent, afaqs!. The session started with the nomenclature - 'Pocket Aces'. "We all were poker fans and each of our names starts with an 'A'. Also, it's always great to start with a strong hand," replied Pandita adding that all their consumer-facing brands have simpler names. When asked why they chose India, Pandita said, "There were many untold stories all across India and Pocket Aces wanted to give people a platform to tell them." Shrivastava chimed in stating that the personal aspect also played a vital role. "A lot of us grew up consuming international content, either by downloading from torrents or other means. We asked ourselves if could create content in India that could travel abroad," she added. Their content journey started with ambitions of creating films, "In the middle of 2015 we started thinking of how to deliver content directly to audiences and that's when we took very big bets. We said that short-form content will be a very big player and that's how Filter Copy was created. The second big bet was while everybody is thinking about YouTube, can we look at Facebook as a platform to distribute our content," says Suresh. There was a third bet too and that was to create short-form content to understand consumer behaviour. Mithila Palkar was spotted for the first time on one such attempt from Filter Copy. "The show did not do well at all, but she was brilliant in it. We used a lot of data like the comments, high points etc. to analyse each bit of content. All this got us to release the first season of Little Things," Suresh added. The first episode of 'Little Things' season one is an inch close to fetching 10 million views on YouTube. Season 2 of the 'Dice Media' owned intellectual property is streaming on Netflix. While the show being on a global platform like Netflix is a landmark moment for any content creator anywhere in the world, it would be unfair to attribute it as the defining moment for Pocket Aces. The digital content house reached millions of eyeballs before associating with the streaming giant. "We became experts at creating mobile-first content by understanding our consumers. We never said these are clips, we did not chop films. We said audiences are picking up the phone about 20 times a day for five minutes at a time. So, do you create content to entertain them with different types of content within that time frame?" added Pandita. The initial audience that Pocket Aces targeted was the urban youth who could not control the television as the remote was with their elders. "We asked ourselves if we could provide them with content directly. Our initial focus was to create shareable content which is mobile friendly," Pandita recalled. Pocket Aces does not just create short-form content; each episode of its popular titles - Little Things or Adulting - is approximately 25-minutes long. "70 per cent of the content is consumed on mobile phones. There is a small percentage of consumers who connect their mobile devices to larger screens, still, it is very much mobile first, even for long-form content," said Shrivastava. We asked the panel how the experiences differed when creating 'Little Things' season one for YouTube and season two which is on Netflix. Suresh is of the opinion that the consumption pattern on Netflix is more "intent-driven" compared to YouTube or Facebook, where one is more likely to discover content while browsing. "When we are creating content for YouTube or Facebook we focus on the first 30 seconds because that is where we lose a lot of consumers. Those 30 seconds need to be very immersive, very interesting; you can't start with establishing shots of the city. While creating for Netflix, we had that luxury; we had the option to introduce the character a little later," he added. Apart from the differences in creative approach, Pocket Aces had to adhere to certain technical standards followed by Netflix. Suresh jokes, "The YouTube audience is far more forgiving where we could use inexpensive DSLR cameras to shoot." In January 2019, Pocket Aces crossed the 100 employee mark in their workforce that's spread across offices in Mumbai, Bangalore and a three-person team in Delhi. The venture raised $5 million so far (35 crore). "About 110 people worked with us over the last five years and we only lost 10 of them. How we retain people who work with us, maintain the pace at which we operate and continue to thrive in challenging circumstances like shooting with phones, which we do all the time, is something we focus on as moderators," concludes Pandita. Twitter - Vistara Lessons: Delete or Defend? What on earth is a smartfan? Why are Publicis executives cross-dressing?